Ruth. A novel. By the author of "Mary Barton" [Mrs. Gaskell]. A young orphan, Ruth Hilton, is seduced and then abandoned by the wealthy Henry Bellingham. She is left to bring up her child in a society that offers her no protection and seems to punish such innocence. Taken in by a Dissenting minister in the guise of a widow, she is given a chance to bring up her son whom she loves above all else. But the condemnation of society always threatens, and despite Ruth's rejection of his belated offer of marriage, Bellingham's reappearance precipitates her exposure and rejection. Only her heroic self-sacrifice in the midst of a cholera epidemic regains her her position, but too late. 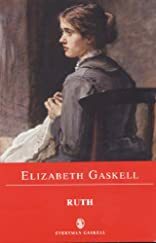 This was a crusading novel when it was published in 1853, and aroused almost as much censure for its shocking scenes as it did sympathy for the heroine. About Nancy Henry (Editor) : Nancy Henry is a published editor. A published credit of Nancy Henry is Ruth (Everyman Gaskell).